Whether you live in the concrete jungle or an actual jungle, a nature tour is always an exciting adventure when visiting new places. When you stay in Hotel St Augustine, one of the best boutique hotels in Miami, you will be in the beautiful city of Miami. However, just outside the big city limits, there is a wonderland of plants and animals just waiting to be discovered. On your next Miami getaway, check out these nature tours to meet many of our wildlife neighbors. One of the best nature tours in Miami has fun right in its name. You can find a variety of tours with Tons of Fun Tours and Rentals that will get you up close and personal with a myriad of fauna and flora. Rent a jeep for you own excursion or join in on a group tour for a guided trip through some of the most awe-inspiring areas of the Everglades. Hop into one of our giant jeeps or luxury SUVs for a wild ride for a narrated tour with friendly guides. Snap photos along the way and sit back while our crew takes you on an excursion through Big Cypress National Park. The Everglades is known for thick mangroves, vast marshes, and an eclectic array of wildlife. From alligators to tropical blooms, there are plenty of discoveries to be made. A fantastic way to get out into the most scenic parts of the Everglades is on an airboat with The River of Grass Adventures. Be ready to see local celebrities like the Eastern Cottontail Bobcat, Manatees, American Alligators, over 300 different species of birds, and more! Up to eight people can climb aboard and head out for an Everglades adventure that you will never forget. An eco-tour is always a great time and an amazing learning opportunity, but why not take the chance to make a difference while on your eco tour? Team up with The Sea Turtle Conservation Program (STCP) and Miami Eco Adventures to help out our sea turtle neighbors during your stay at Hotel St Augustine boutique hotels. Whether you choose to attend a seminar on everything you need to know about these incredible creatures or finding where they inhabit, you will be able to learn everything about the sea turtles of our area. One of the most unforgettable experiences on the shores of Miami beaches is watching sea turtles hatch and make their way to the wave to carry them off to sea. Staying with us at Hotel St Augustine will have you staying right in the heart of Miami’s Art Deco District and nearby all of these wonderful tours. Hotel St Augustine boutique hotels style allows you to have a wild adventure and return to the elegant and modern world for a comfortable night’s rest. 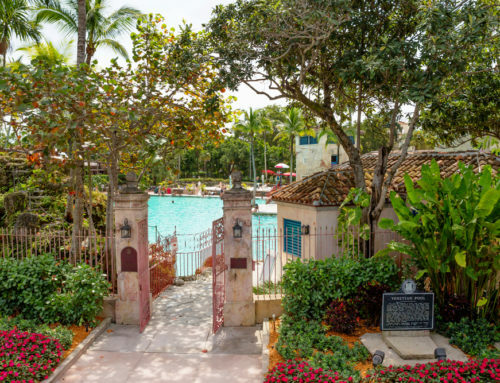 Our location makes for the perfect opportunity to explore the historic Art Deco District, premier shopping, fantastic dining, and exploring the Everglades without trekking too far from your accommodations.